Prof. Hemnath Rao Hanumankar is currently a Senior Professor and Director at the Development Management Institute (DMI), Patna, India. Before joining the DMI in 2016, he was the Dean of Management and also the founder Director of the Centre for Poverty Studies and Rural Development at the Administrative Staff College of India. His applied research and consulting work spans wide ranging subjects including food and water security, sustainable rural livelihoods, agriculture extension, agripreneurial value chains and social enterprise development with focus on convergence of best management practices across business organisations and not for profit development institutions. He has designed and delivered capacity building programmes in strategic management for senior and top management of large private and public sector enterprises and for senior civil servants of Government of India. He has also been actively consulting with the Commonwealth Secretariat, UNDP, The World Bank, EU-CDE, SPARK and other international organisations across continental Africa and the South Pacific Region, and serves on various policy making committees of the Government of India and States. Prof.Dr.Hemnath Rao H has a degree in agricultural sciences and studied at the Durham Business School for his MBA as a Nehru Fellow of the Foreign and Commonwealth Office, Govt. of UK. He earned a doctorate from the JNTU, Hyderabad for his research on the strategic management practices of Indian businesses. He served the National Co-operative Development Corporation, GoI, before joining the Administrative Staff College of India (ASCI). where he founded the Strategic Management Area and was also founder Director of the Centre for Poverty Studies and Rural Development, besides serving as the Dean of Management Programmes for one term. He has designed and delivered programmes in strategic management for senior and top management of PSUs, Co-operatives and large private sector enterprises; entrepreneurs and managers of Small and Medium Enterprises (SMEs); and for senior civil servants of All India and Central Services. Prof. Hemnath has been actively consulting with the Commonwealth Secretariat, UNDP, The World Bank, EU-CDE, SPARK and other international organisations across continental Africa and the South Pacific Region, and serves on policy making committees of the Government of India's various development ministries and the State Governments. His academic interests include strategy, public policy, leadership, agripreneurship,agribusiness, rural development and management of the MSME sector. 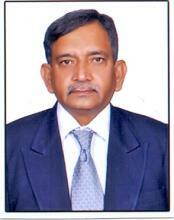 Achievements: Recipient of Nehru Centenary Foreign and Commonwealth Office Fellowship; Recipient of the Best Alumnus Award from the Class of 1993 on the MBA Programme at Durham University Business School; Founder Faculty of Strategic Management Area at Administrative Staff College of India (ASCI); and Founder Director of Centre for Poverty Studies and Rural Development at ASCI. Strategy; Corporate, Academic and good public governance; Social Enterprise and Strategic leadership Addressing the convergence of Best Management Practices across business organisations and Not for Profit Development Institutions. Peer Reviewed International Journal: 2015: “Review of the book” ‘The Water, Energy and Food Security Nexus: Lessons from India for Development’. International Journal of Water Resources Development, Vol. 31, Issue 1, pp. 146-148. Book : Rao Hanumankar, H (2006) Tryst with Global Competition: Strategic Response of Corporate India, Hyderabad: BS Publishers. Book Chapter : Rao Hemnath, H (2007) Socio-Economic Dimensions of Food Security: Availability, Acceptability and Accessibility of Food. In: Aswathanarayana, U. (ed. ), Food and Water Security. London: Taylor and Francis. Hanumankar, H.R. (2003), ‘Managing Productivity in Knowledge Enterprises’ Proceedings of the Annual Meeting of the International Study Group on Productivity Measurement and Management’’, APO, Tokyo. Hemnath Rao (2002), ‘Strategies for Fighting Poverty in Irrigated Agriculture’, Proceedings of the International Seminar on Fighting Poverty in Irrigated Agriculture, IWMI, Colombo. The World Bank and Ministry of Human Resource Development (MHRD), Government of India (GoI) sponsored study for comprehensive evaluation of the Technical Education Quality Improvement Programme (TEQIP). UNDP, New Delhi and the Ministry of Rural Development, Government of India (GOI) for developing policy guidelines to facilitate convergence of the National Rural Employment Guarantee Programme (NREGP) that statutorily addresses livelihood security for the poorest of the poor in rural areas with various development schemes of the Ministry of Agriculture, GOI during August- September, 2009. UNDP, New Delhi and the Ministry of Rural Development, GOI for evaluation of the impact of the National Rural Employment Guarantee Act (NREGA) in three districts of Andhra Pradesh during April-July, 2009. National Fisheries Development Board, GOI to assess the management development needs of senior functionaries of State Fisheries Departments and State Co-operative Fishermen Federations in 2008. Ministry of Agriculture, GOI for evaluation of impact of Farmers’ Call Centres across a sample of five states of India. Ministry of Water Resources, GOI, for Repositioning the Central Water Commission (CWC)’ to make the client organisation more relevant to the emerging paradigm of integrated water resources management. Process consulting support for modernization of management systems and practices in owner managed SMEs during 2006-07. Ministry of Micro, Small and Medium Enterprises, GOI, for developing a draft legislation for regulating the growth of small scale enterprises in India. Planning Commission of India- Study and evaluation of the institutional infrastructure in the north- eastern states of India for marketing and value added processing of agricultural produce. National Institute for Management of Agricultural Extension (MANAGE) – Evaluation of the long duration courses offered by MANAGE in Agricultural Extension. Government of Orissa- Approach to Vision 2020 for Poverty Task Force of the Government of Orissa state. Top Management Strategy Interventions in Vision Building for large and smaller corporates in the public and private sectors like the Bharat Heavy Electricals Limited (BHEL); Electronics Corporation of India Limited (ECIL); National Mineral Development Corporation (NMDC); Tata Steel; State Level Enterprises of the Government of Nagaland and others.